Alemseged Debele is PhD candidate in history at Addis Ababa University. His supervisor is Professor Tesema Ta’a. He is conducting research on the history of mineral resources and their extraction in Wallaga, western Ethiopia in the 20th century. He is one of the recipients of the CFEE field scholarships. In this text, he explains the main contributions of this fieldwork financed by the CFEE. Economic activities such as agriculture, pastoralism and mining are part of the long history of the Ethiopian state and its people. Like other economic activities, mining in Ethiopia has manifested a history of creating wealth and longevity of interactions among its people and with the outside world. As part of an economic activity, mining also contains historical events that deal with mineral resources, the miners, the local people, the state, prospectors, concessioners, mining companies and the environment. Moreover, what happened in mining activity affected the momentum of the national economy by making it either to progress or deteriorate. Taking this historical trajectory into consideration, my project which focuses on mineral resources and their extraction in western Ethiopia attempts to examine how mining actors like concessioners, prospectors, state and ordinary miners, and their activities have maintained the continuity of the mining of gold, platinum and iron in Wallaga in the 20th century by overcoming various problems and years of unsatisfactory production. It essentially concentrates on these three of the economically important mineral ores in the region. The extraction of these mineral ores from the surface of the earth in Ethiopia is a very old economic activity. For instance, in ancient time and during the medieval period, the Ethiopians had extracted precious metals like gold and silver and used them for making jewelries and coins. But it was in the 19th century that the extraction of mineral ores from the surface of the earth in different parts of the country had largely attracted the attentions of foreigners. In this century the central state of Ethiopia had also shown an increased interest to get more quantities of precious metals. It was also in this century that modern geological studies of Ethiopia began by a European traveler called [Eduard] Ruppel (1) (YeMadin ena Hayl Minch Minister/Ministry of Mines and Energy, 1976E.C/1984: 1). Besides, the end of the 19th century had indicated an increased interest of some European states in commerce and other activities in Ethiopia in order to get precious metals like gold and platinum. To get these precious metals directly without any setback, European states however preferred to establish concession companies that deal with the exploration, extraction and production of precious metals. They also established industrial and commercial concession companies. This indicates an intensified interest of some European states that aimed at putting their own marks in different sectors of the Ethiopian economy including the mining sector. Particularly, following the battle of Adwa, Europeans had sought to exert greater influences on the Ethiopian economy by using different mechanisms (Bahru, 2008: 183-184). As a result, at the end of the 19th century and in the early 20th century, Europeans had made western and southwestern Ethiopia their centre of attraction. Western and southwestern Ethiopia mainly attracted the attentions of European states like Britain, France, Germany and Italy. In this part of the country these European states had attempted to get some fortune changing precious metals like gold, platinum and silver through acquiring mining concessions from the Ethiopian central state particularly in Wallaga. For instance, at the end of the 19th century George W. Lane representing the British group had acquired gold concession in Wallaga. In this competitive action the French engineer called Camboul had struggled to realize the French representation in mineral extraction in Wallaga. Italy represented by Alberto Prasso was able to get gold and platinum concessions in Yubdo in western Wallaga. The Germans led by Arnold Holz since 1905 had shown their influence by increasing their capital in trade in Ethiopia and by establishing mining and trade companies called the Abyssinian Mining and Trading Company. In order to realize what they sought, these European states needed to have good relation with the Ethiopian central state and in turn the central state had approved for them their acquisition of mining concessions (Pankhurst, 1968: 232-233 and Bahru, 2008: 184-186,188 and 2002: 100-101). A British traveler and prospector, Herbert Weld Blundell, who visited Wallaga in the early 20th century and who had got concession there had seen that gold and copper were sold in the market of Nekemt as well as silver in the market of Gimbi (Herbert Weld Blundell, 1900: 97-118). In his another travel report he also included how gold was extracted in Wallaga, specific places of gold extraction in Wallaga and who engaged in the extraction of gold there (Blundell, 1906: 529-551). Indeed, in Wallaga among the local people, as some primary sources such as travelers account and archival document which were collected during the first phase of my fieldwork, indicate that males were engaged in the extraction of gold as this work of extraction demanded physical strength. 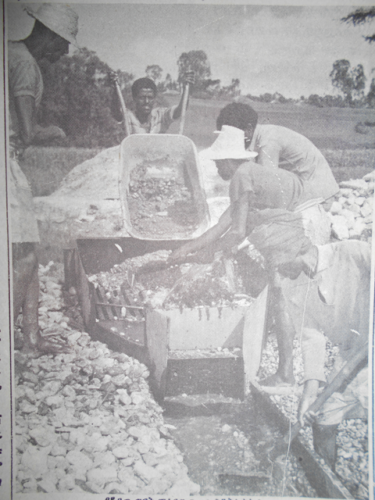 Despite this physical strength, the picture which was taken by Blundel during his visit of Wallaga tells us the participation of local women in extraction and production of gold in Wallaga. Thus, the following illustration indicates the contribution of local women during gold mining in the study area. 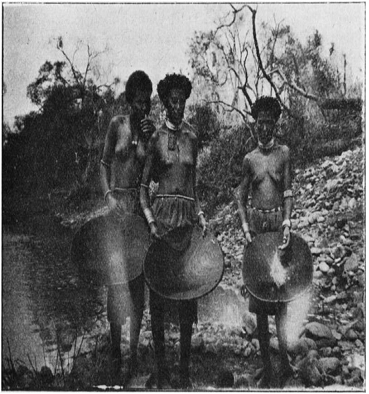 Oromo women gold washers in Wallaga, taken from Herbert Weld Blundell, “Exploration in the Abai Basin, Abyssinia,” The Geographical Journal, 27, 6 (1906), p. 549. In relation to this, this dissertation also expects more engagements of native people in extracting gold, platinum and iron in the 20th century in localities which are found in western Wallaga and partly in Qellam and eastern Wallaga which are places of origin for valuable mineral resources such as gold, platinum and iron. Specifically, some of these localities in western Wallaga are Nedjo, Dhegero, Yubdo, Tullu Kappi, Tullu Walal, Mana-Sibu, Bikilal in Gimbi, Mendi, Katta and Ayira. In Qellam Wallaga and eastern Wallaga there are also Sayyo and Arjo respectively. The dissertation also considers some parts of the pre-1991 Beni-Shangul administrative units, formerly under Wallaga province, such as Dul, Kurmuk and Sirkole (2). After getting mining concession by establishing relation with the Ethiopian central state, some of the citizens of the above foreign states had started the extraction and production of gold in western Ethiopia in Wallaga. The following image indicates the effort made by foreigners like the Italians to explore and produce precious metals in western Ethiopia which included Wallaga. 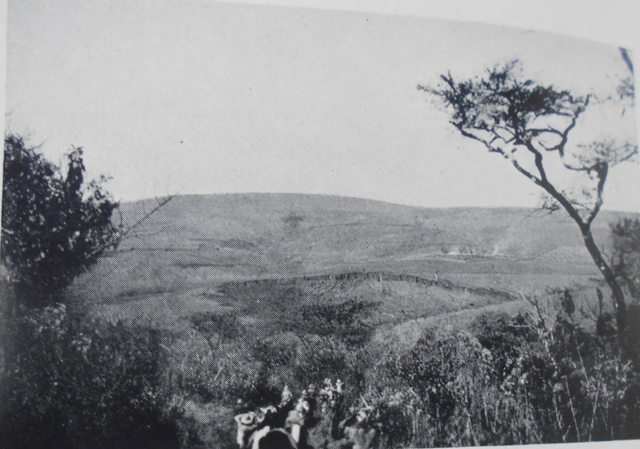 Source: Frank Hayter, Gold of Ethiopia, (London: Stanley Paul and Co. Ltd), 1936, p.136. Frank Hayter himself was a British prospector and adventurer and he had taken this image when he travelled to Wallaga in the early 20th century. On top of this, in the 20th century the central state of Ethiopia had increased its interest of controlling all natural resources including the mineral resources of the country. The state had obviously indicated this in its 1955 revised Constitution and in the 1971 Negarit Gazeta (News Paper of Proclamations). Later on, the state also publicized a proclamation that confirmed the nationalization of the mineral resources and the mining activities by the government of Ethiopia (See “A Proclamation to Promote the Development of Mineral Resources of the Empire of Ethiopia,” Negarit Gazeta (Proclamation Number 282, 1971:65) and “A Proclamation to Provide for Government Control of Mineral Prospecting, Exploration and Mining Activities,” Negarit Gazeta (Proclamation Number 39, 1975:127-129). However, during this period the inhabitants of Wallaga had never stopped claiming that mineral resources belonged to them. During this time, the state also engaged in extraction and production of precious and non-precious metals in Wallaga. The following picture illustrates the gold extraction activities run by the state in Wallaga in the 1980s in the specific mining site called Dhegero. Earlier this site was also used by the Italians in order to produce gold. 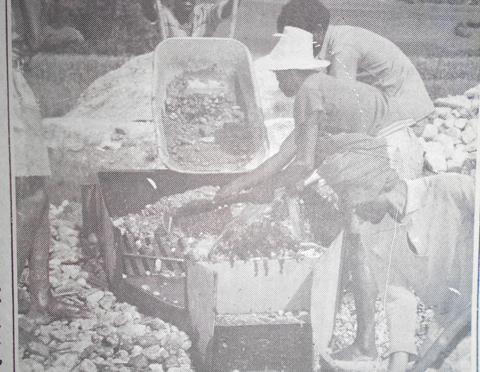 A picture that indicates gold mining activity in Dhegero area in Wallaga since 1978/79, taken from Addis Zemen (Sene 27,1973E.C/ July 4,  1981). As regard to this project, up on completion, it gives answer to questions like how concessioners, prospectors, local people and the interest of the Ethiopian central state had supported the continuity of mineral extraction in the study area. Here, concessioners and prospectors represent foreign engagements and the flow of foreign capital into mining activity. The project also seeks to give answer for questions raised in relation to the impact of mining on the environment of the study area. Upon completion, it is expected that this dissertation will broaden the understanding we have on extractive industry both at the local and national levels and supports people’s effort to realize the dynamism of mining activities in Ethiopia. For its success, this project requires different types of primary and secondary sources of information. As my field research demands collecting primary sources of information like archival documents and oral sources from the center in Addis Ababa and from the region in Wallaga, in the first phase of data collection I collected some primary sources like archival documents and travelers’ accounts with some financial support I got from CFEE since September 2017. Here, I would like to thank CFEE for its support and this support enabled me to collect archival documents from the National Library and Archival center and geological research results and other documents from the library of Ethiopian Geological Survey. Up to now I collected primary sources such as travelers’ accounts and archival documents like letters, minutes, reports, proclamations and agreements, and from internet source I got some electronically published works as regard to this project. I think I have gone half way to get answers to some of the questions for my study. I will continue the second phase of data collection in Wallaga to get answers for the questions which remain still unanswered. (1) However, written sources provide contradictory information concerning the nationality of Eduard Ruppel. 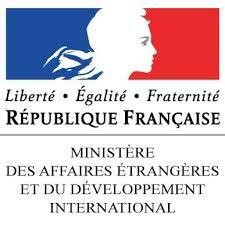 For instance, a source produced by Ethiopian Ministry of Mines state that Ruppel was a French citizen. But the news paper called the Ethiopian Herald which was published on July 8, 1946 referred Ruppel as a German botanist. Similarly, Internet source identifies Eduard Ruppel as a German explorer. For all these pieces of information, see YeMe’adinina ena Hayl Minch Minister, “YeMe’adinina ena Hayl Minch Minister Tarik, (in Amharic),” 1976E.C/ Ministry of Mines and Energy, “A History of Ministry of Mines and Energy,” Unpublished, 1984, p. 1; Christine Sanford, “Ethiopia Under Haile Sillassie,” The Ethiopian Herald (July8,1946), p. 3 and “Eduard Ruppel,” https//:www.britanica.com> biography, accessed on 4/11/2017. (2) In addition to the localities mentioned above, rivers and their surroundings, valleys and mountains such as Dhegero River valley and its surrounding, the Kapi valley, Chora valley, Katta valley, Tumet valley, Sirkole valley and the Mountains of Tullu Wallal, Tullu Choki and Tullu Bollale in Wallaga are rich in mineral resources. For this information, see A. Dunlop, “The Dadessa Valley,” The Geographical Journal, 89,6(1937), pp.514-515; Frank Hayter, Gold of Ethiopia (London: Stanley Paul and Co. Ltd, 1936),p.122,185 and Hailu Wolde Emanuel “The Geographic Characteristic of Western Ethiopia: Part II Western Wollega.” Ethiopian Geographical Journal. 1, 2(1963), pp.26-27. “A Proclamation to Promote the Development of Mineral Resources of the Empire of Ethiopia.” Negarit Gazeta. Proclamation Number 282, 1971. “A Proclamation to Provide for Government Control of Mineral Prospecting, Exploration and Mining Activities.” Negarit Gazeta. Proclamation Number 39, 1975. Bahru Zewde. 2002. A History of Modern Ethiopia, 1855-1991. Addis Ababa: AAU Press. Bahru Zewde. 2008. State, Society and History: Selected Essays. Addis Ababa: AAU Press. Blundell, W. Herbert. 1900.“A Journey through Abyssinia to Nile”, The Geographical Journal, 15, 2. Blundell, W. Herbert. 1906. “Exploration in the Abai Basin, Abyssinia”, The Geographical Journal, 27, 6. Dunlop, A. 1937. “The Dadessa Valley,” The Geographical Journal, 89, 6. Hailu Wolde Emanuel. 1963. “The Geographic Characteristic of Western Ethiopia: I Eastern Wollega and II Western Wollega.” Ethiopian Geographical Journal. 1, 1 and 2. Hayter, E. Frank. 1936. Gold of Ethiopia. London: Stanley Paul and Co. Ltd.
Pankhurst, Richard. 1968. Economic History of Ethiopia, 1800-1935.Addis Ababa: Haile Sillassie I University Press. YeMadin ena Hayl Minch Minister. 1984. “YeMadin ena Hayl Minch Minister Tarik, in Amharic, 1976E.C.”/Ministry of Mines and Energy. “A History of Ministry of Ministry of Mines and Energy.” Unpublished. “YeWallaga Yewarq madin Sira Ye edgat Tasfaw Biruh Naw/ The Development of Wallaga’s Gold Mining Activity is Promising.” Addis Zemen. Sene 27, 1973E.C/ July4, 1981.